April is National Prevention of Cruelty to animals month -- and marks the ASPCA's 147th birthday. Though animal shelters need help year-round, the birthday is a great reminder that there are several things you can do to help your local animal rescue operations. 1) Volunteer at a local animal shelter. Many animal shelters are non-profit organizations and rely on volunteers to keep them running. Most shelters are looking for people to help run adoption events, visit potential adopting families, help fundraising and marketing efforts or become a foster family for animals waiting on adoption. The Lab Rescue of the LRCP, Silver Spring, Md. Lucky Dog Animal Rescue, Washington, D.C.
City Dog Rescue, Washington, D.C.
2) Donate money. The ASPCA and most shelters use donations to spay and neuter animals as well as to help them get necessary vaccines, heartworm treatments and other medical procedures. 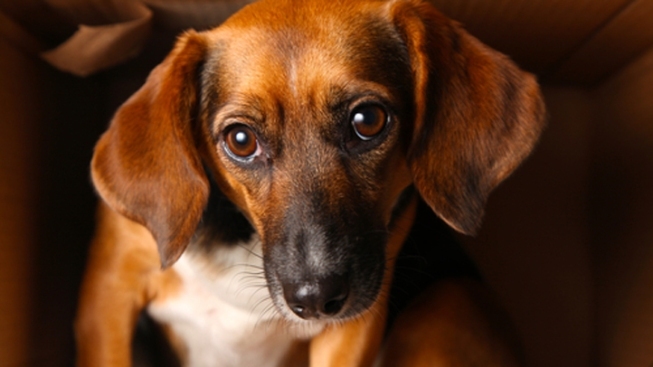 The ASPCA also collects donations on a larger scale to help displaced animals during disasters such as Hurricane Sandy, stocking the shelter with supplies such as food, blankets and toys. Lost Dog and Cat Rescue Foundation, Arlington, Va.
3) Educate yourself, and others. Many people don't realize just how widespread a problem animal cruelty is. One of the best ways to participate in National Prevention of Cruelty to Animals month is to educate yourself and others on animal cruelty and the ways to prevent it. The ASPCA is constantly fighting for new laws to help prevent animal cruelty, fighting against everything from horse slaughtering in New Jersey to puppy mill regulations in Ohio. Learn how to spot the signs of animal cruelty in your own neighborhood and learn about the efforts toward anti-cruelty laws. More information from the ASPCA can be found here. 4) If you are fully prepared for the commitment of owning a pet, visit your local animal shelter to adopt. There are millions of homeless animals in the United States; the ASPCA says it is "impossible" to put a specific number on the homeless animal population but its estimates are north of 50 million. Out of all those animals, only about 6 million make it into shelters each year; due to overcrowding in shelters, about 4 million of them are euthanized each year. If you or someone you know is considering getting an animal, visit an animal shelter before contacting a breeder or going to a pet store. Montgomery County Humane Society, Rockville, Md. Mutts Matter Rescue, Kensington, Md. King Street Cats, Alexandria, Va.